Gladys Knight has been married four times. She was first married to her boyfriend since high school, James Newman in 1960. The pair welcomed a son, James ‘Jimmy’ Newman in 1962 and a daughter Kenya in 1963. Also, she once had a miscarriage. Newman was a drug addict he was abandoned by the family. The couple decided to divorce in 1973. After a year of divorce, she married Barry Hankerson in 1974 and welcomed a son named Shanga Hankerson, but the pair also separated in 1979. The couple fought for custody of the son and the child was kidnapped at that time. Later, in 1995, she married to motivational speaker Les Brown but they also separated in 1997. Currently, she has been married to William McDowell since 2001 and the pair have been sharing 17 grandchildren and 10 great-grandchildren. 1 Who is Gladys Knight? 9 Social Media: Facebook, Instagram, Twitter, etc. Gladys Knight is an American singer, songwriter, businesswoman, author, and actress and she is famous as the name ‘Empress of Soul’. She has been successful in achieving huge success in her career and she has become a source of inspiration to many people. Her genres include R&B, soul, pop, and gospel. 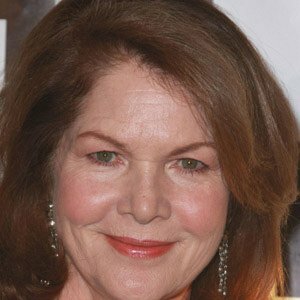 She was born on May 28, 1944, in Atlanta, Georgia, USA. 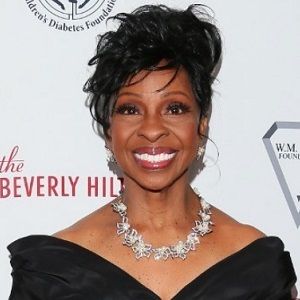 Her birth name is Gladys Maria Knight and she is currently 74 years old. Her father’s name is Merald WSooklow Knight Sr. and her mother’s name is Sarah Elizabeth. She has got a living brother named Merald Jr. and a deceased brother, Merald. She has also got a sister named Brenda. She began singing with her siblings at the age of 8 and named her group as ‘the Pips’. Initially, their genres include R&B and later headed to Motown and crossed over to pop music. The group recorded their signature song ‘Misnight Train to Georgia’. She left the group in 1989 and began her solo career. Today, she has made herself recognized as the ‘Empress of Soul’. Gladys holds American citizenship and her ethnicity is African-American. She attended Shaw University. Apart from that, there is no further information regarding her college history. She made her solo career debut at the age of four. She sang at the Mount Mariah Baptist Church in Atlanta, Georgia. She was awarded for her performance on the televised ‘ted mack Amateur Hour’. She was about 8 years when she formed ‘the Pips’ in 1952 with her siblings and with two cousins, Elenor and William Guest. After the marriage of her sister with Elenor, the couple left the show and another cousin, Edward Patten, and Langston George joined the group. But, George also left by 1960. Gladys supplied the throaty vocals and the Pips provided impressive harmonies and inspired dance routines and the group received a following on the so-called ‘Chitlin Circuit’ in the South. The group released their first single, ‘Whistle My Love’ was released in 1957 by Brunswick. The group was not so recognized before they recorded with Motown Records in the mid-1960s and were teamed with songwriter/producer Norman Whitfield. The Pip’s version of Whitfield’s ‘I Heard it Through the Grapevine’ in 1967 and another huge hit for Marvin Gaye crossed over from the rhythm and blues charts to the pop charts. They became more recognized after the huge success of singles like ‘Nitty Gritty’, ‘If I Were Your Woman’, ‘Friendship Train’ combined with touring performances with the Motown Revue and numerous TV appearances. The group left Motown in 1973 for Buddha Records and their last Motown single, ‘Neither One of Us Wants to be the First to Say Goodbye’ became the Pips’ first No. 1 crossover hit. The group is now officially known as Gladys Knight and the Pips. The group came with more successful songs like ‘Imagination’ in 1973 and three gold singles ‘I’ve Got to Use My Imagination’, ‘Best Thing That Ever Happened to Me’, and the Grammy Award-winning No.1 hit ‘Nidnight Train to Georgia’. Gladys Knight and the Pips hosted their own TV special in the summer of 1975. Knight made an appearance in the film ‘Pipe Dreams’ for which the group recorded the soundtrack album. They signed a new contract with Columbia and released three reunion albums: ‘About Love’ in 1980, ‘Touch’ in 1982, and ‘Visions’ in 1983. And also released singles ‘Landlord’, ‘Save the Overtime for Me’, and ‘You’re Number One’. The group released their final album together ‘All Our Love’ in 1988 in which the Grammy-winning single ‘Love Overboard’ was included. She left the group by the next year to launch a solo career and recorded the title song for the James Bond film ‘Licence to Kill’ in 1989 and the album ‘A Goos Woman’ in 1990. Besides her singing career, she performed her recurring role on the 1994 TV series ‘New York Undercover’ and later played in ‘Living Single’, ‘I Can Do Bad By Myself’ in 2009. She has made numerous records in her career and she is known fondly today as the ‘Empress of Soul’. She decided to take another kind of role by joining the cast of ‘Dancing with the Stars’ in 2012 which is a popular television competition. She released her another studio album ‘Where My Heart Belongs’ in 2014. It was announced in early 2019 that she would sing the national anthem before Super Bowl LILL. She was awarded Best Gospel Performance for ‘Heaven Help Us All’ in 2004; Best Traditional R&B Vocal Album for ‘At Last’ in 2001; Best Pop Performance by a Duo or Group With Vocals for ‘Love Overboard’ in 1988, for ‘Nidnight Train To Georgia’ in 1973, for ‘neither One of Us’ in 1973. Along with that, she has been awarded and nominated several other times. She has an estimated net worth of around $28 million dollars which she earned from her different professions. She was rumored to have done plastic surgery but she has denied the rumor. Gladys is also battling pancreatic cancer. She has a height of 5 ft. 3 inches and she weighs 60 kg. Gladys has got black hair and black eyes. Her body measurement is 34-24-34 inches. She has got around 289.3k followers on Instagram, about 355k followers on Twitter, and around 57k followers on Facebook. 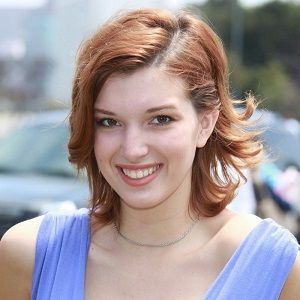 To know more about birth facts, family, childhood, awards, net worth, rumors, body measurements and social media profile of Briga Heelan, Sofia Wylie, and Andy Bean, please click on the link. Gladys Knight has a fruitful 2019! Know why she appeared on the Fox’s hit show The Masked Singer! What did Austin Mahone say about his ex-girlfriend Camila Cabello? 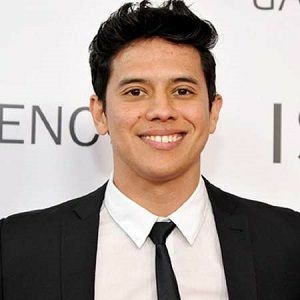 Learn about this talented singer’s dating timeline, career, and dehydrating illness!